Do you enjoy poetry? Would you like to read a favourite to us, or just be in the audience and listen? If you would like to read, please contact Jean at jeanfitzperrin@hotmail.co.uk by Friday 5 July at the latest with the details of poem/poet. We would like to have about 20 readers. We need an audience too! 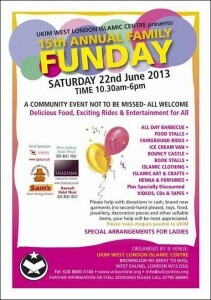 Free entry, but donations would be welcome. Refreshments available. 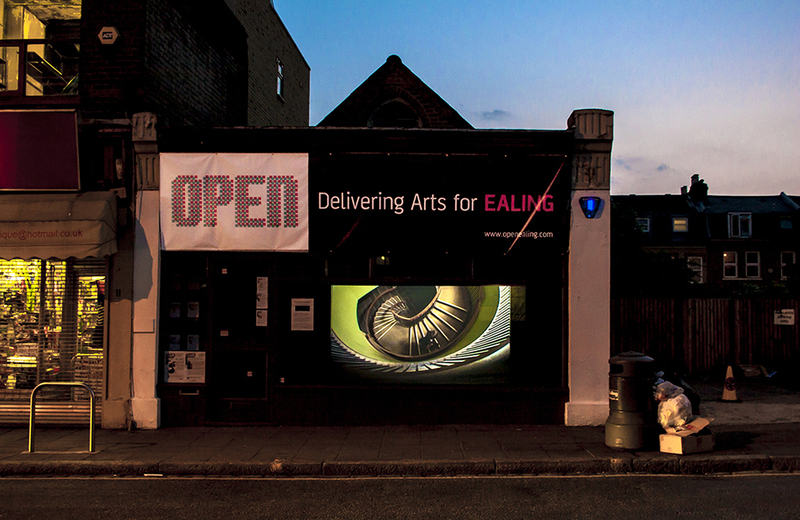 All proceeds to Open Ealing. 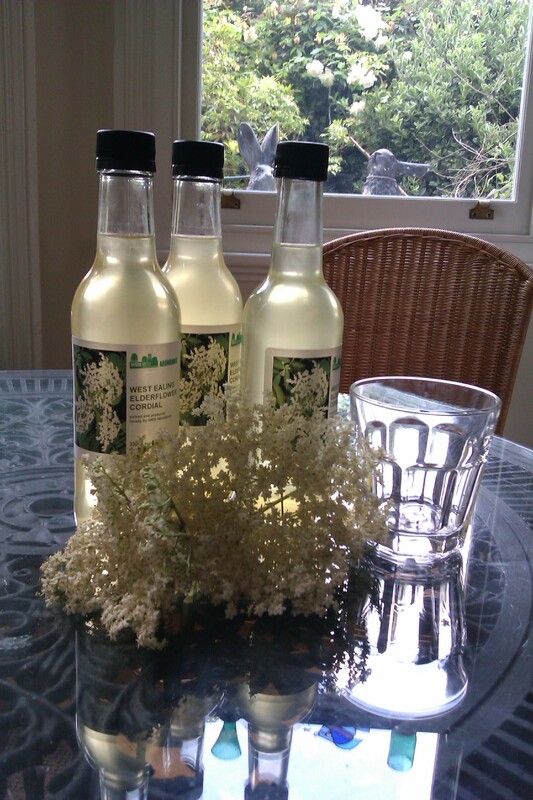 The elderflower is very late this year. We just managed to make some in time for the Hanwell Carnival and are now in full production whilst the flowers last. 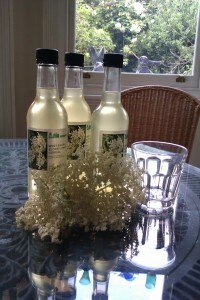 The WEN Abundance Elderflower Cordial is now available at w7emporium, 60B Boston Road, Hanwell (opposite Wickes) for £3.20 a bottle. As ever, stocks are limited so get there soon to avoid disappointment. Railways have always been an important factor in developing an area. The history and development of Ealing Broadway and West Ealing certainly owe something to the arrival of railways. Now there are plans out for consultation for a huge development at Old Oak Common. An article in yesterday’s Evening Standard describes the project whereby some 100 acres of railway sidings and semi-derelict wastland would undergo a £10 billion transformation on the back of HS2.’It would have at its heart a vast new railway hub for Crossrail and the £16 billion HS2 high-speed link from Euston to Birmingham. About a third of all HS2 passengers are expected to transfer at Old Oak Common.’ Backers of the plans claim that the transformation of this area will create 90,000 new jobs and 19,000 new homes. There’s also talk of the railway hub having a station on the Heathrow Express line , adding a new Overground station and linking it to the Great Western main line service. It’s a few miles away from us in West Ealing but has the potential to make an impact on the whole of West London so I thought it worth a mention on this blog. 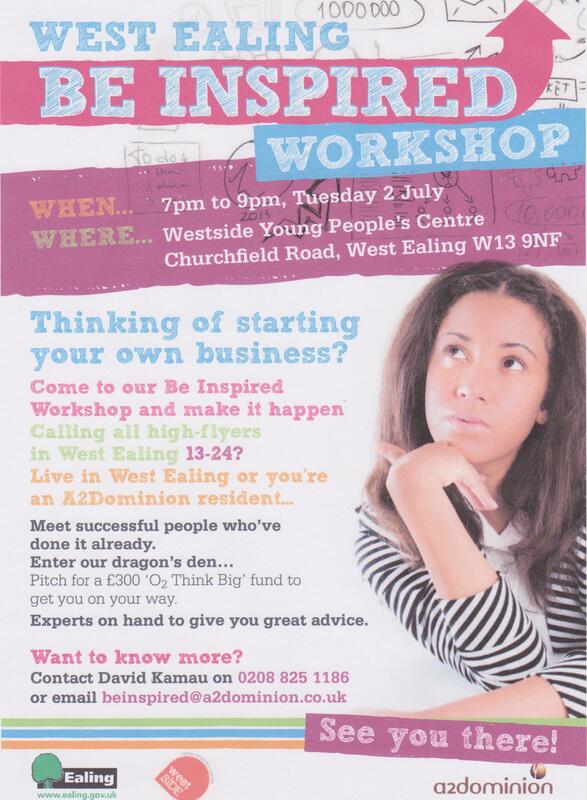 If you’re aged between 13 and 24 and live in West Ealing, or an an A2Dominion resident, and are thinking of starting your own business then come along to the Be Inspired Workshop. It’s free and you’ll get to meet successful people who’ve already done it. Enter our dragon’s den…Pitch for a £300 ‘O2 Think Big’ fund to get you on your way. Experts are on hand to give you great advice. 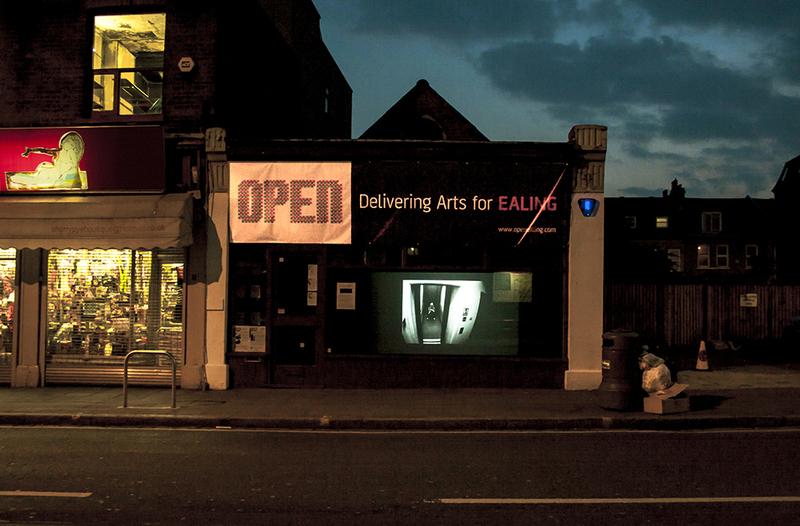 Dead, dying or being reinvented – where next for our high streets? Is West Ealing leading the way? I was about to say I apologise for writing yet again about the future of high streets but, actually, it’s too important a topic to apologise about. I’ve just read an article in today’s Daily Telegraph by Bill Grimsey, a well respected ‘veteran retailer’, saying that we’ve already decided traditional retail high streets are dead or dying. We’ve already chosen not to use them but rather shop in malls or on the internet. His view is ‘If we want a high street, we have to use it. And we’ve made that choice already. Increasingly we don’t use it’. The arguments and counter arguments about our high streets will continue to rage for a while yet. Mary Portas takes the view they can be revived and others, such as Bill Grimsey, feel it’s already too late. Why waste time and money trying to fix something that’s shattered beyond repair? Mr Grimsey makes a very interesting argument about the medium term impact of mobile devices doing away with the need for cashiers and checkouts whilst virtual shopping will do away with the need for shops to hold stock of clothes. Instead shops could become very different venues where you choose your clothes off a screen and then get delivered to your home. I’m not sure I see it quite the same way or quite so fast. I can remember being involved in the BBC Computer Literacy project in the early 1980s when Sinclair and Acorn, amongst others, battled it out to show us the brave new world of microcomputers. Yes, very interesting many of us thought but what do exactly can we do with these high-tech boxes.? Of course they were right, but it didn’t happen as quickly as they thought or wished. I suspect Mr Grimsey is largely right but how fast will these changes occur? As for solutions, he makes two very interesting points which are very timely given the current efforts being made to regerate the West Ealing high street through the High Street Innovation Fund and the riot recovery fund. He asks the question that if it’s not retail, what could our high streets look like and what sort of services could be there? He has two interesting thoughts about the future. Firstly, he argues that ‘If we really want to revive our high streets, we have to recognise that any successful high street has to be rooted in the local economy that is making things, growing things and pulling them out of the local ground’. He then goes on to say ‘The high street will no longer be a place of commerce with tills ringing. It has to be a place for the whole community. It could become the frontline to tackle a host of social problems. Take older people and loneliness. The high street is a natural gathering place and we need to redesign it to meet the needs of our changing society’. This isn’t just an interesting theoretical discussion. This is about the very survival of the main artery of our local community. Lose the high street and towns, suburbs and villages die. 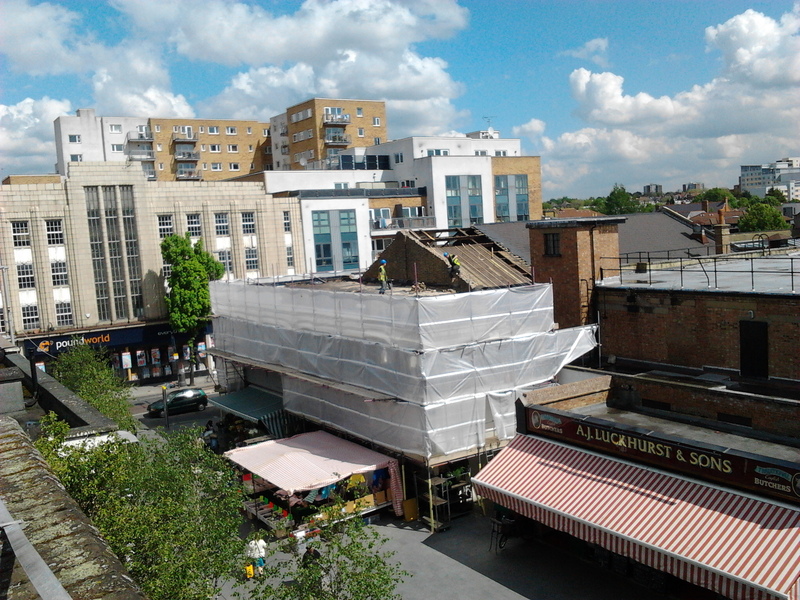 In West Ealing we already have, or may soon have, some very interesting developments along our high street – or very near to it – many arising out of the Council’s high street fund. We have a new 60-bedroom hotel being built to replace a tired £1 shop. 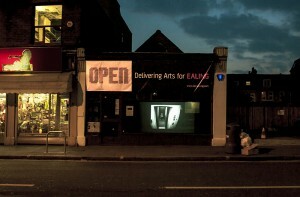 The OPENShop on Drayton Green Road is the next high street version of the OPEN Ealing arts project. You can drop in and watch artists at work as part of their Artists Zoo project this month. I’m part of a group working on a feasibility study in to a possible coworking space or hub on the high street. The hub could offer a range of services and spaces to help people start and grow their businesses. Before long there should be a pop-up shop on the high street which will offer the space to those with the best ideas, retail or otherwise, to bring more people in to West Ealing. West Ealing is already grappling with the questions of what sort of high street do we want. We are exploring exactly the territory Mr Grimsley describes. What the answer or answers will be about our and other high streets will have to wait a little while yet. And I’m still not convinced about the pace of technological change and its impact on the high street but I don’t doubt it will happen. Congratulations to everyone involved in steering the West Ealing Centre Neigbourhood Forum through to its formal launch last night. There must have been some 50 people packed in to the downstairs room at the Drayton Court last night to hear Eric Leach describe the Forum’s journey from idea to reality with plenty of bumps along the way. Made up of representatives of business, community groups and residents the Forum now has a golden opportunity to create a Neighbourhood Plan covering the next 15 years that will see West Ealing through a period of major change. WEN wishes them all the very best of luck and looks forward to working with the Forum to create a West Ealing that grows in to a thriving and vibrant area for all the community to enjoy. You can find our more about the Forum here. 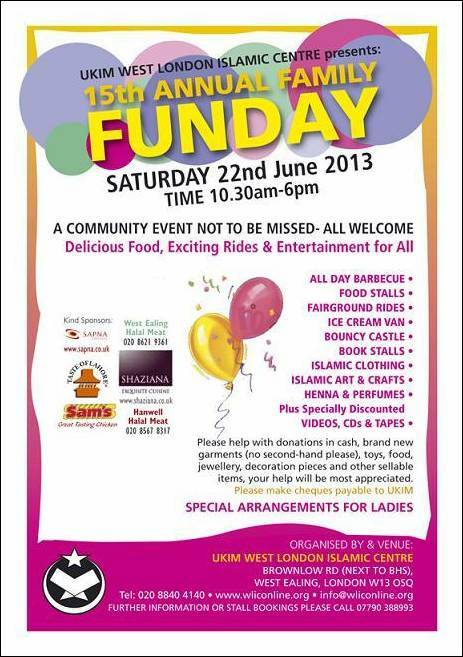 West Ealing Neighbours is a big supporter of the new West Ealing Centre Neighbourhood Forum (WECNF). WECNF became a designated public body on 27 March 2013. The forum is a collection of people who live, work or have an interest in the centre of West Ealing who are working together to create a 15 year plan for the area. WECNF operates under the auspices of the 2011 Localism Act. The public launch and first Annual General Meeting of the forum starts at 6:45pm on Tuesday 18 June at the Drayton Court Hotel in The Avenue. A 12 person Management Committee will be elected at this meeting. Everyone is welcome to attend the launch/AGM. A group of local people is conducting a feasibility study to find out whether a business and coworking space or hub is viable and will contribute to the regeneration of West Ealing. We have been busy collecting views from a wide range of people and organisations – University of West London, local residents’ groups, businesses and members of the West Ealing Centre Neighbourhood Forum. The next step in our research is finding out what the local community feels about this idea, what types of businesses would potentially use the hub and what is important to them. Your feedback would be much appreciated. If you can spare the time, please visit our web site and complete ourshort survey. The deadline for collecting results is 14th June. 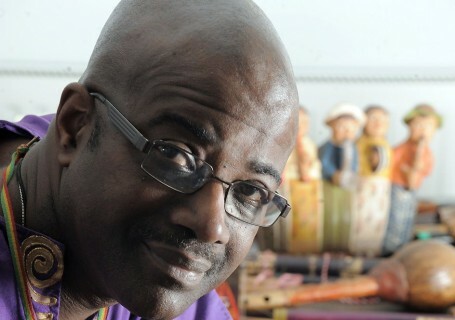 Join internationally-renowned flautist Keith Waithe for a musical tour through his selection of over 200 flutes from around the world. He will be accompanied by the members of his recent classes at OPENshop.